Party411.com, the most complete online party planning site provides thousands of party ideas. We will show you how to plan a great party! We provide creative, unique and just plain fun party planning ideas, unique personalized products for your party and links to fun party decorations and supplies! We have 100's of party themes to choose from, so browse through and find the perfect theme for your party! Invitations and wording ideas, decorations, activities and favors... it's all there! See all our Theme Party Ideas! We would love to know what you think. Please share your thoughts, comments and suggestions at feedback@party411.com. How to use the site? Party411.com is a complete party planning site. 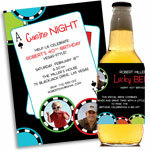 We provide party ideas, party planning help and simply show you how to plan a party. It’s a one stop shop where you can find hundreds of theme party ideas, one of a kind personalized invitations, party favors and party decorations and links to thousands of fun party supplies from our trusted vendors. So take a few minutes and let us help you plan a great party! Plan your party Looking for party ideas? Our plan your party section has tons! Select the Special Occasion (birthday, graduation, bar/bat mitzvah), Theme Party Ideas (Luau, Western, Casino), or Holiday Parties drop down to the left to get started. Personalize your party Visit our personalized section to shop for quality personalized invitations, favors and decorations for your party! 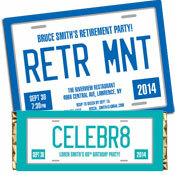 We have everything from custom invitations to life-sized cutouts to party banners to candy bar wrapper party favors, and list just keeps growing! Decorate your party Our decorate section for all your party supply needs!